I can show you now as they arent bloggers and wont see it before their special day. I have used various dies including Spellbinders, GoKreate, Joy and Joanna Sheen, white and silver card stock LOTV stamp coloured with promarkers, added lace, bows, pearls and flowers. 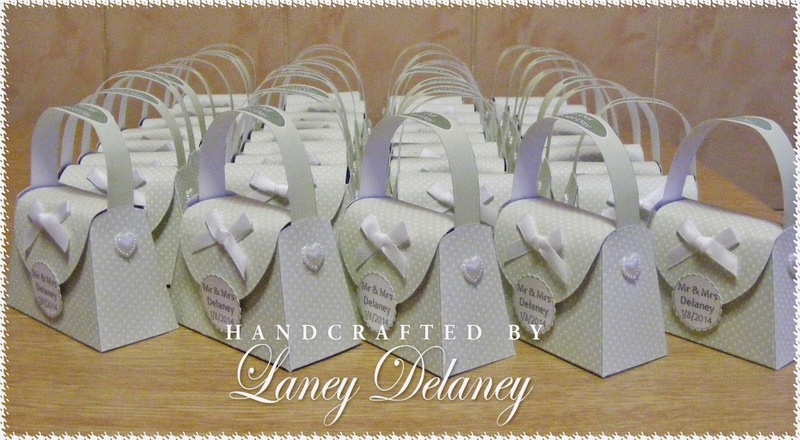 The little bags were made using the SUMMER of 59 CD from Kraftyhands and all I had to do was print and cut, I have also added ribbon and pearls to them..they have all now been filled with little goodies for the guests. 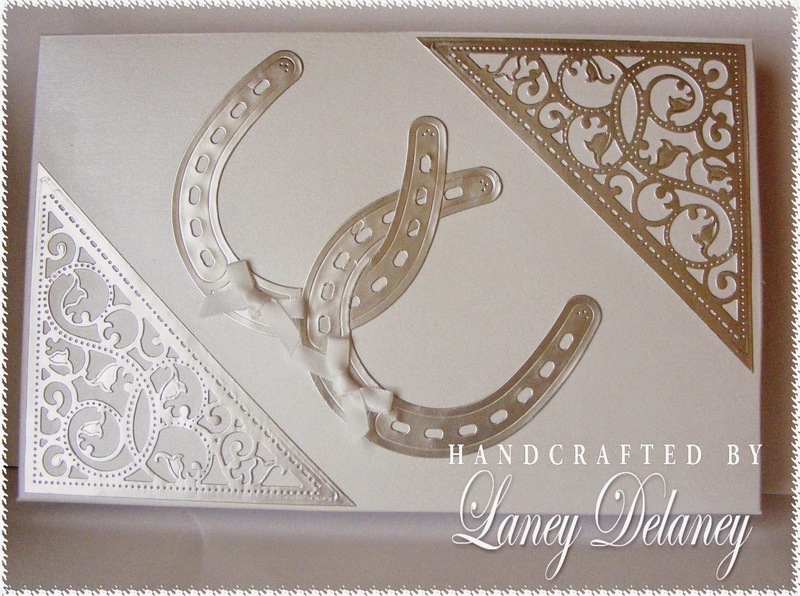 Oh my Laney these creations are exquisite!! Many congratulations to the happy couple! I hope you and your family have a wonderful day! This is fab thankyou for sharing with us over at Crafty Ribbons this time. 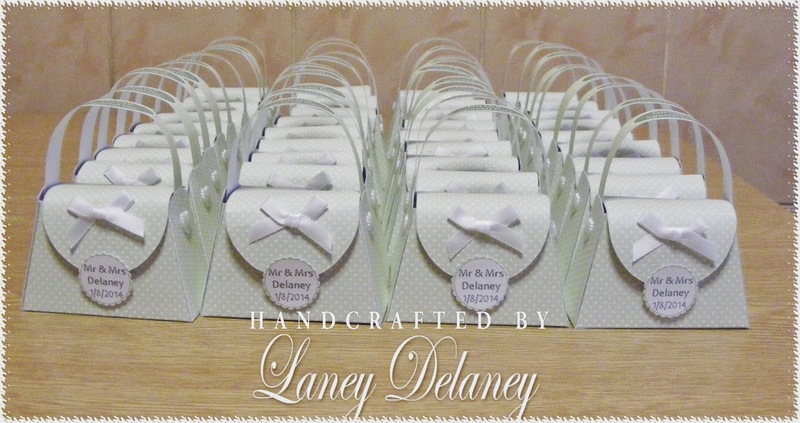 Gorgeous wedding card and love the little favour boxes. Congratulations to the happy couple and I hope you all have a wonderful day. Your card is beautiful! Love the open book look. Fabulous design. Great favors too. TFS at DCD. This is beautiful. What a gorgeous keepsake this is. Made with an an enormous amount of pride I can tell. 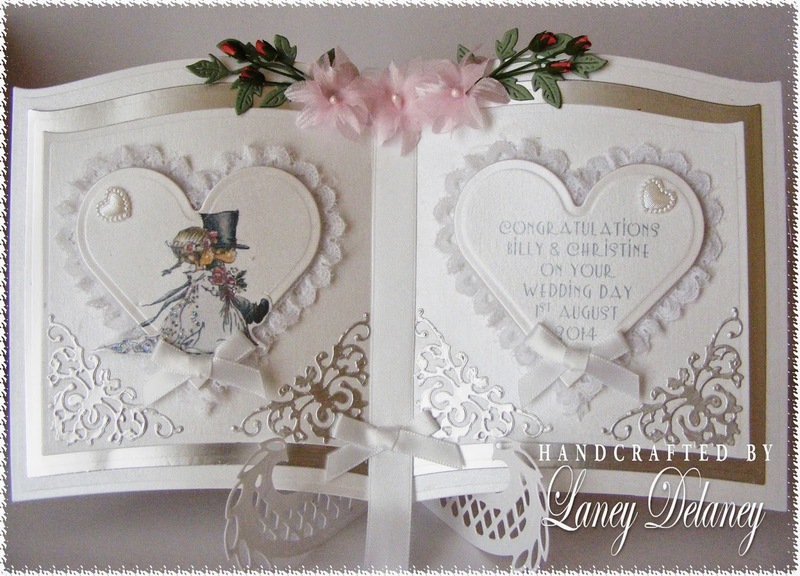 Hope all went well at the wedding & the happy couple loved your card. Thanks for joining us at Passion For Promarkers this week.